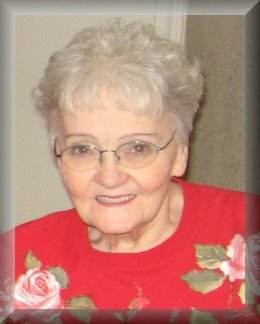 Julia Mary Flaherty passed away in Lodi on April 30, 2009 at the age of 77. Born on the family farm in Stutsman County, North Dakota, just outside Jamestown, to Mary Frances and Benjamin Stout. Julia has lived the past 53 years in Lodi where she was active in many community and charitable endeavors along with her husband James. Together they were members of the Eagles Lodge in Lodi, and Julia served as past president of the Lodi Eagles Auxiliary. She worked at the Wig Palace as a wig stylist for a time, and enjoyed puzzles, and especially bingo, playing many times a week. She is survived by her beloved husband of 60 years, James Flaherty; sons: Daniel Lee Flaherty, Jonathan Wayne Flaherty, and Jeffrey Lynn Flaherty, all of Lodi; daughter, Sandra Kay Meyers (Gary) of Lodi; 8 grandchildren, 4 great-grandchildren, 3 step-grandchildren and 8 step-great-grandchildren. Julia is also survived by her siblings: Joe Stout of Southern CA, Irene Rosan of Alabama, Ben Stout (Ramona) of WA, Robert Stout (Carol) of Pennsylvania, George Stout (Carol) of Fresno, Marshall Lee Stout (Martha) of Palm Desert and Frances Swenson (Wally) of Las Vegas; and by her husband James' brothers and sisters and their spouses. Julia is preceded in death by her granddaughter. Funeral services were held at 1 p.m. on Tuesday, May 5, at the Evergreen Chapel at Cherokee Memorial Park, Hwy 99 at E. Harney Lane in Lodi. Please visit the online guest book at www.cherokeememorial.com where memories can be shared. Please sign the guest book at www.lodinews.com/obits.